Hikers and pony trekkers rejoice; we have the country for you. Rugged Lesotho welcomes visitors into the highlands…and it all feels a world away from nearby South Africa. 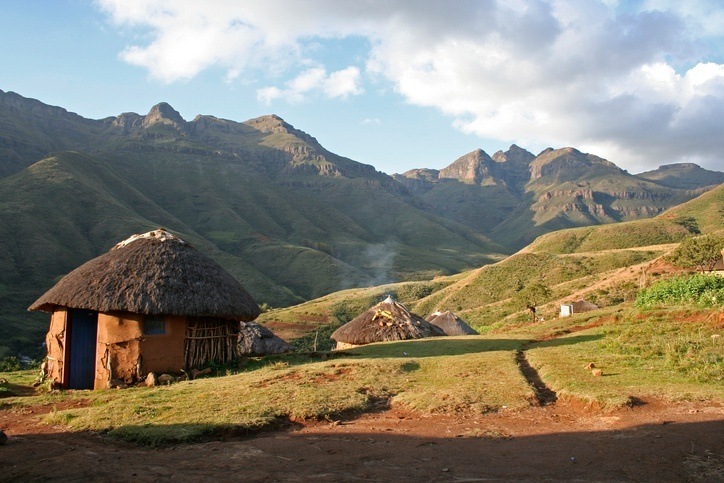 Want to learn more about Lesotho? Lesotho is a landlocked country located in the southern part of Africa. It is completely surrounded by South Africa, and can be found in the southeastern part of the country. When is the best time to visit Lesotho? In some cases, winter can be a great time to visit (June to August), though some of the higher elevation areas can be impassable. Summer is nice with plants in bloom, though some parts of the country are hit hard with rain. A round trip flight between Toronto and Maseru generally costs about $2000 Canadian. It could be worth looking into a flight to Jo’burg or Durban and making your way to Lesotho separately from there. Renting a 4WD car is a decent option for getting around. Beyond this, buses are available in some areas. 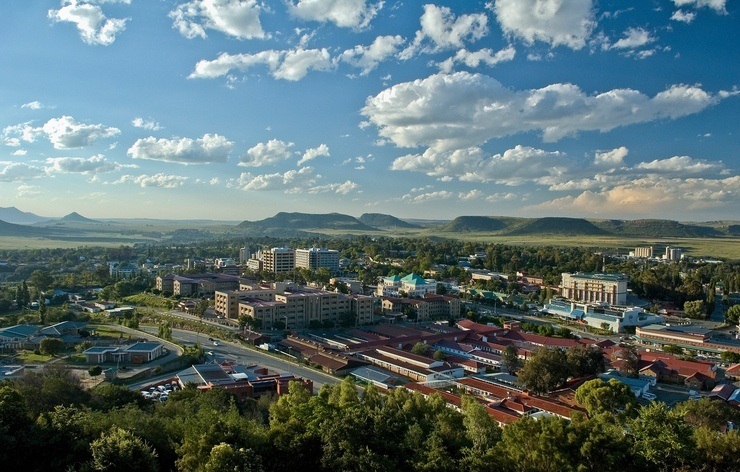 You might be forgiven for not realizing that laidback Maseru is actually a capital city. Indeed, while there are fair amounts of people around, things are generally more relaxed here than in the urban sprawl of surrounding South Africa. 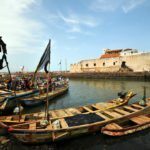 You’ll find some good stores and restaurants, as well as a decent amount of backpackers from all over the world packing the bars. Overall there isn’t a huge amount to see and do, but it’s a quaint and worthwhile first stop on your journey through Lesotho. 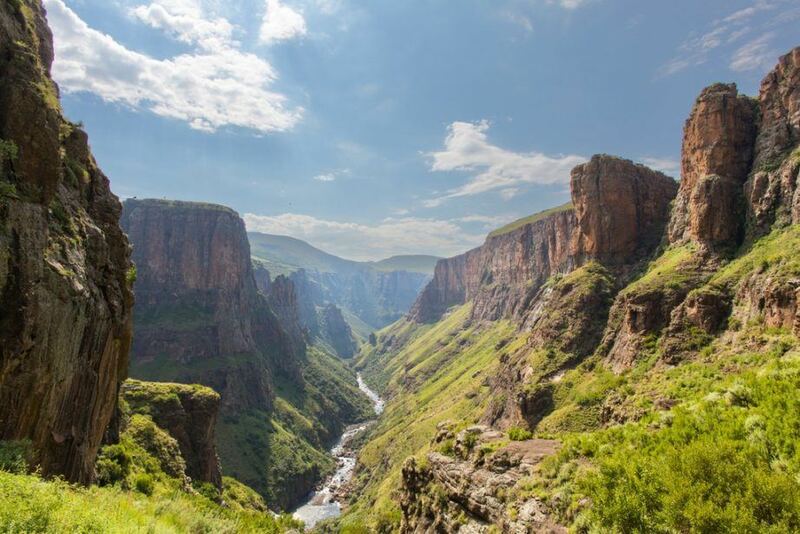 The largest and probably best national park in Lesotho, this is likely what you’ve come all the way here for. Ts’ehlanyane mostly covers a high-altitude area with picturesque mountains, some forest, and rugged trails. Hikers will find everything from short treks to day or multi-day trips. 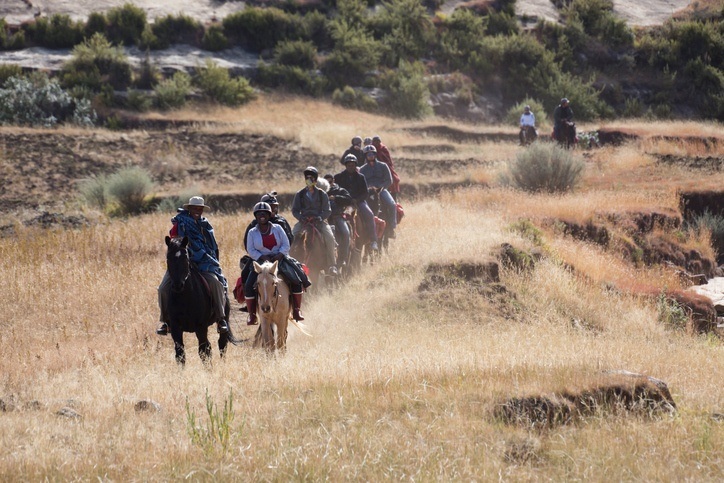 If you’re up to it, there are few places better to take advantage of one of Lesotho’s major draws – pony trekking. You can arrange to rent a pony (or horse) and set off into the highlands. This is an adventure available few places else, so we definitely recommend taking advantage of it while you’re here. 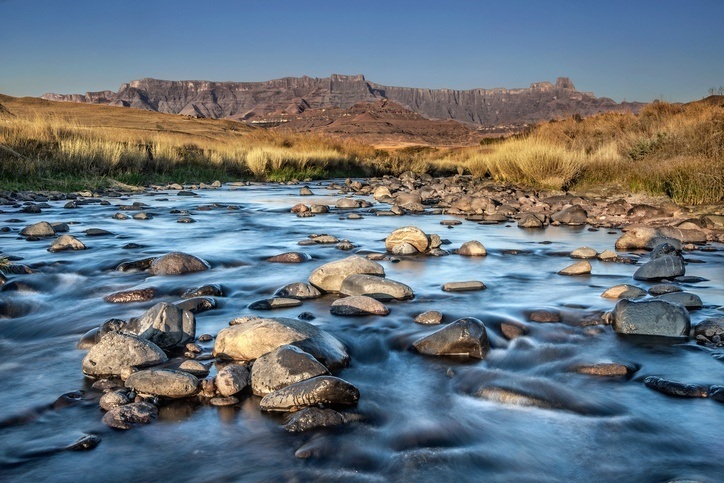 Not far from Ts’ehlanyane National Park is the equally stunning Bokong Nature Reserve. A daylong hike will take you from one to the other as you make your way through a landscape of amazing vistas, unique wildlife, and more. Pony trekking is also an option here while the diverse environment includes everything from hills to wetlands. 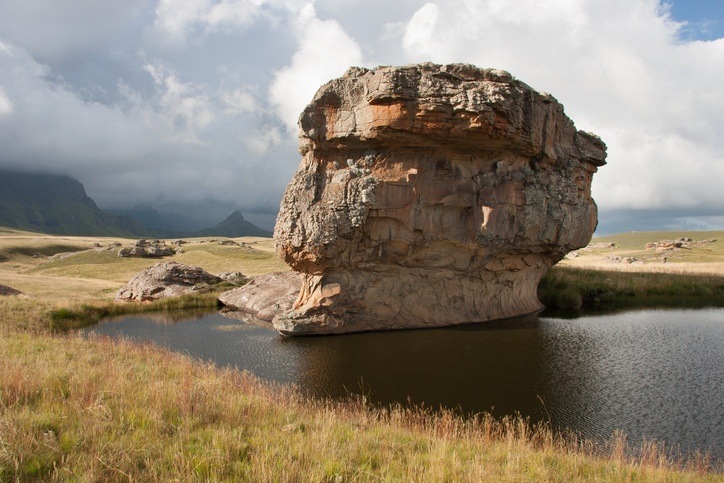 Another park worth exploring is the off the beaten path Sehlabathebe National Park. While we’re not saying the others are going to be overly crowded, you’ll likely find even less signs of human life here. Instead, birds will often be your only company. 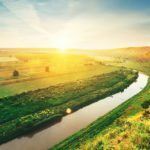 You’ll find some great hiking, serene pools to relax and fish at, picturesque waterfalls and more. It can get fairly wet here during the summer but don’t let this deter you (just be careful in the fog). 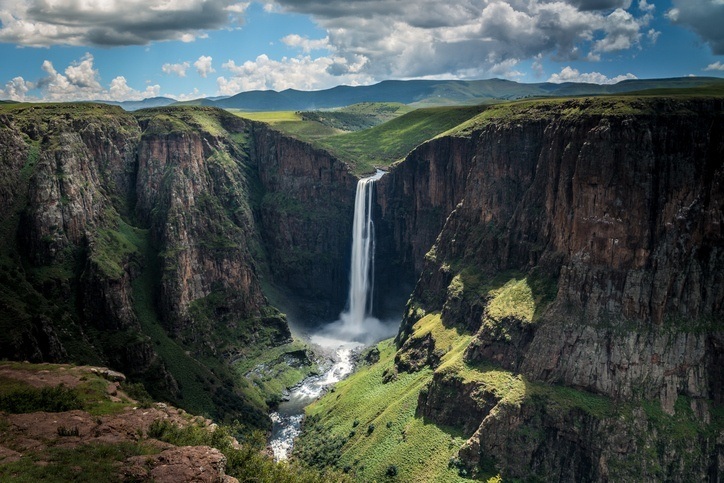 Near the town of Semonkong are the phenomenal Maletsunyane Falls. Significantly higher than Victoria (though much narrower), the falls offer up one of the best photo opportunities in all of Lesotho. If you don’t believe us, just look at the picture above. While there isn’t as much to see in the immediate vicinity, it’s worth the side trip regardless. 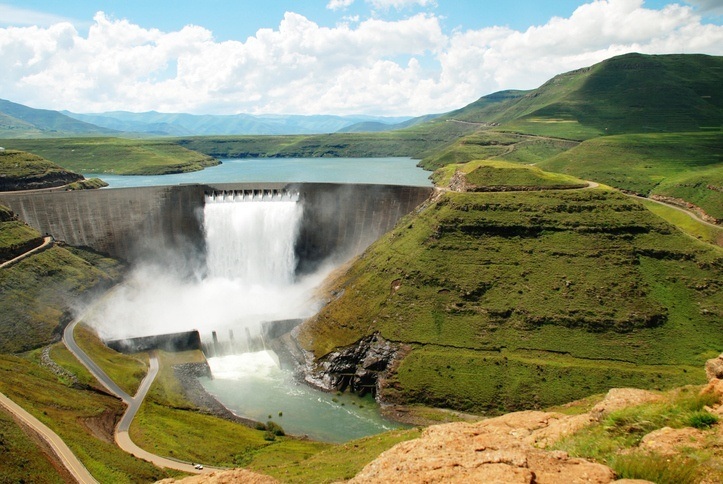 Also in the central highlands of Lesotho is a man made marvel…Katse Dam. 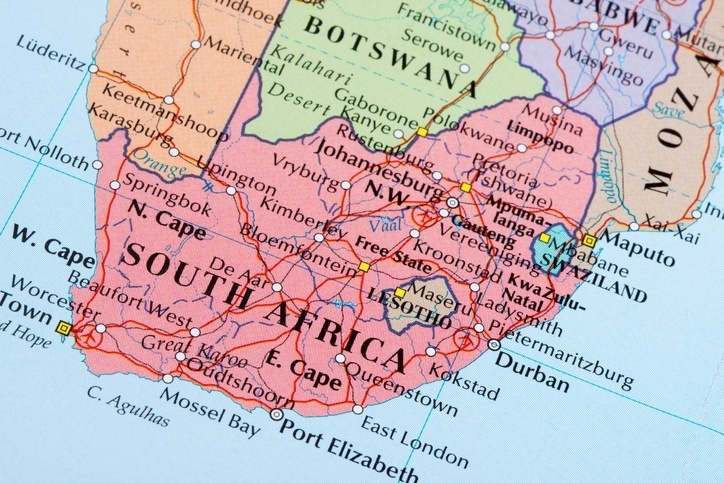 Meant to help the flow of water to South Africa, the two countries came to an agreement to let construction go forward (despite widespread claims of corruption). Despite these issues, there’s something to be said for the sheer scale of the dam. The landscape it sits in is typical Lesotho, but Katse manages to show a different, more modern side of the country as well. The vast majority of the population speaks Sotho (or Sesotho as it is also known). Indeed, ‘Lesotho’ translates as ‘the land of the people who speak Sesotho’. English is the other official language and is becoming widespread in education and other uses. You should be okay getting by for the most part, though some local phrases might not hurt. An average day in Lesotho should work out to about $86 Canadian, with a budget of $31 for accommodation and $39 for food. 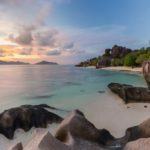 Thrifty travellers can keep costs closer to $38 a day. Generally it’ll depend on how you’re spending your time. You can certainly keep costs down if you’re simply trekking through the highlands! While there is no nationwide advisory, a high degree of caution is recommended due to crime. Petty crime and armed robberies do occur – mostly in Maseru and other large population centres. Police are often AWOL at night; so don’t travel after dark if you can help it. Road safety is iffy, even in the cities. Driving practices can be dangerous and rural roads can be in poor condition. You should also avoid any and all demonstrations, as they could turn violent. For more on travel safety, check out the Canadian Travel Advisory for Lesotho. You can learn more about the history and culture of Lesotho in the Country Profile as well as the Lesotho loti with our Currency Spotlight. For more information, check out the official Lesotho tourism site.